It’s a freeing feeling to purge your home of excess belongings and start anew. Too often you hear about the importance of eliminating clutter and narrowing down your possessions, yet the process yields difficult choices, and emotions can run high. You see new products on store shelves — things that would look all too perfect sitting in your living room. Maybe you’re not a hoarder, but people who are have been known to suffer serious health risks. They become enveloped in the stuff surrounding them and can’t stop their behaviors. Are you swimming in excess possessions? Here comes the fun part. Designate a specific space within your home — a room, a corner, a closet — and anything that doesn’t fit within that space must go. This is where priorities come into play. Are you willing to keep that large item in exchange for getting rid of three smaller items? Doing this will help you visualize what you’re keeping. It’s time to take a step back and look at your goals. Do the things you keep around provide you with any value? Glance at all those little trinkets and items of clothing, and don’t overlook the piles of paper sitting in the baskets in the corner. If they’re not helping you or contributing toward your goals, it’s time to toss them. How does that old platter in your kitchen cupboard make you feel? Does it bring you joy because it’s an antique and a gift, or does it create frustration because you can’t think of a good reason to use it? Wander around your home and think about how the objects around you make you feel. If they’re not contributing to your joy, are they worth keeping around? Probably not. This step is a bit more subjective. It’s time to evaluate your own perceptions and decide whether or not you think you’re holding onto too many things. 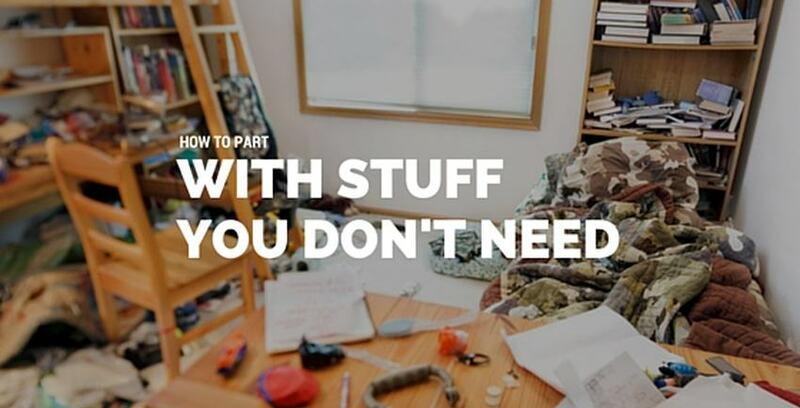 Maybe you’re not a hoarder. But if you find yourself worrying about it, that’s a clear indicator it’s time to make a trip to the dump. Stop using a room just to store the things you use every few years. You deserve to use that room with a purpose while staying clean and organized. Have you discovered a few excess things around your home but still need to hold on to them? Think about putting them into storage. Storage Direct offers secure, nationwide facilities to house your things until you need them. We even have climate-controlled options! Contact us today to learn more.